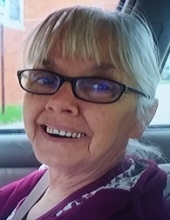 Beverly J. VanRycke, 76, of Silvis, passed away April 30, 2018 peacefully at her home surrounded by family. Per her wishes, cremation rites have been accorded and graveside services will be held at a later date. Burial will be at St. Mary’s Cemetery, East Moline. Quad Cities Cremation Center is assisting the family with arrangements. Beverly J. Huizenga was born January 23, 1942, in Morrison, the daughter of Marvin and Una Fennestad Huizenga. She worked for Prophet Gear as a machinist and was very proud of her work, retiring after 21 years of service. She enjoyed antiques, yard sales, and could not pass up a good bargain. She was preceded by, her parents; sister, Diane McCraw; brother, Larry Huizenga; and her son, Steven VanRycke. To plant a tree in memory of Beverly J VanRycke, please visit our Tribute Store. "Email Address" would like to share the life celebration of Beverly J VanRycke. Click on the "link" to go to share a favorite memory or leave a condolence message for the family.